Excellent property. Friendly service, high-quality food. Beautiful amenities. This resort checks all the boxes. Spacious rooms in all categories. No big building on site. Great for snorkeling. Thought-out grounds with little bridges and a quaint fish pond. 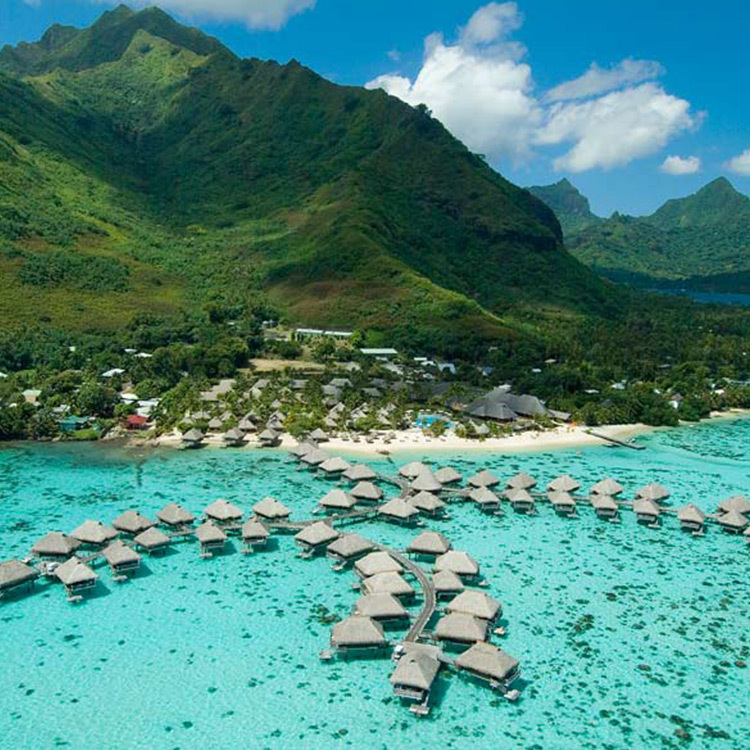 Nestled between two bays on the heart-shaped island of Moorea and set against a beautiful mountain backdrop which melts into a crystal clear lagoon, Hilton Moorea Lagoon Resort & Spa is the perfect setting for a relaxing vacation. The resort’s white sandy beach is perfect for a spot of sunbathing or sports with family and friends, while the scenic lagoon is teeming with friendly tropical fish and a gentle water playground for guests. On the beach, this relaxed, tropical resort with a private lagoon and mountain views is 9 km from the Belvedere Lookout and 18 km from Moorea Ferry Terminal 1. Simple, refined bungalows with vaulted wood ceilings have rainfall showers, free Wi-Fi and flat-screens, as well as claw-foot tubs, and terraces with plunge pools. Upgraded units have access to a lagoon. A suite has a separate living room and a wine cellar, and overwater bungalows add glass-floor viewing panels. There’s an overwater bar, a salon and a spa, as well as a gym, a tennis court and water sports. Other amenities include gardens, a lagoon, and a beach with a casual restaurant.